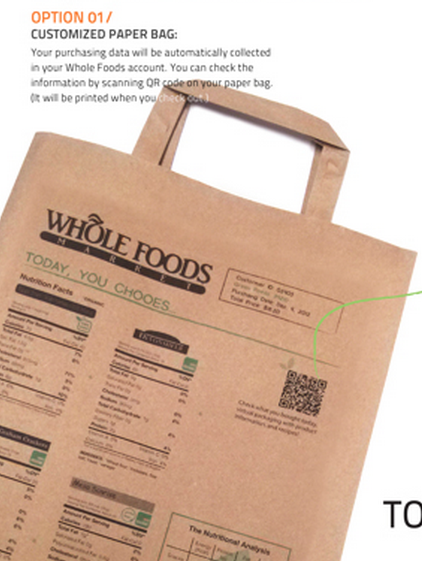 – You can print your personal QR code on the bag. If you scan the QR code you get on your personal space where you can find recipes, ingredient information and a personal shopping guide. – You can customize your own eco-friendly grocery bag. – You can also choose for a advertising bag. 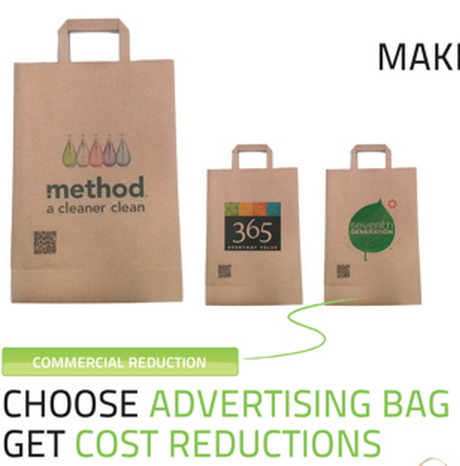 When you choose for an advertising bag you will get cost reductions. You can order this bag online and pay the bag and your groceries at once. Choose your package bag is cool because people can provide their own input to the bag. People will like this because they can affect the bags that they carrying with them in public. Besides that the grocery bags offer transparency about the products that are in the bag. Other people in public can see what you’ve purchased. This grocery bag has a future growth potential because at first it is an eco friendly bag which you can reuse every time you go to the grocery. Secondly people like it that they can decide with what kind of bag they take into public. The choose your package bag offers both of the above standing opportunities.